Up until recently, prices for broccoli had been relatively strong thanks to the extended period of lighter production. Prices in the past couple of weeks have eased back though, and have reduced substantially further since Monday. "Prices were in the double digits," Rosa explained. "Out of Santa Maria, Yuma, and other US domestic markets, FOB prices have now dropped considerably to below cost in some cases. We are seeing huge volumes coming out of Mexico through McAllen and prices have dropped there too. Demand has eased here despite the fact that quality is excellent and freight costs to the East Coast are much cheaper." Broccoli supplies in the US have been challenged recently as the majority of growing regions endured cool and rainy conditions. Not only is production down from coast to coast, but suppliers are also keeping a close eye on quality issues. "Recently we've had some inconsistent weather all over the country, from Florida and Georgia, to California and Yuma," observed Vince Rosa of V&H Fresh. 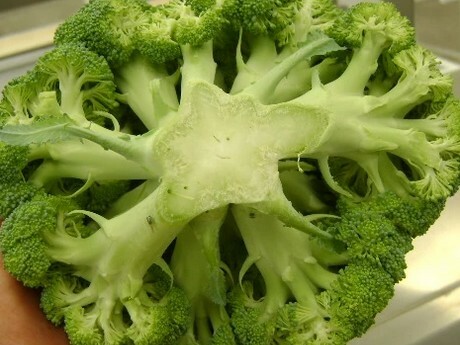 "This has been causing more frequent quality issues such as pin rot, especially in broccoli from California and Yuma. Quality is limited in Santa Maria and is hit and miss in Yuma, but out of these two regions Yuma is probably the better at the moment The product is experiencing reduced shelf as a result." Rosa added that the situation appears to be different for broccoli coming out of Mexico. "Broccoli coming through McAllen out of Mexico has been very nice," he said. "The quality is excellent and it's probably the best that is being shipped in the US at the moment. The Mexico season goes year round because producers can grow at different altitudes. However, it really picks up in volume from late October and goes strong right through May when domestic production in the US increases." The supply and quality situation is predicted to remain as it is for the foreseeable future as the results of the persistent rainy period plays out and with Florida and Georgia unable to satisfy demand. "Despite the drop in prices recently, the markets had been in the high teens for the past 60 days or so and production still remains light," Rosa said. "Florida and Georgia have had cooler weather along with some rain as well, so production there has slowed to a crawl. 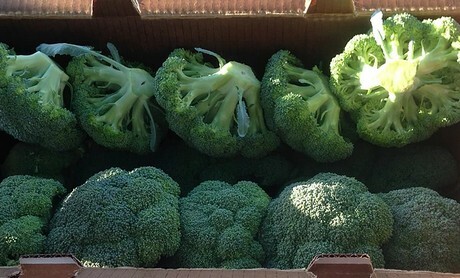 As a result, we expect the broccoli market to continue this way for some time." 2019-04-18 "Easter rush in the mushroom trade"
2019-04-18 "Sales had been bad, but now we have too little asparagus available"
2019-04-18 "Regional rocket and babyleaves are well received"
2019-04-18 "Our mushroom substrate is made from wood chips and wheat bran"
2019-04-18 "International cuisine and increasingly vegetarian diets work out fine for us"
2019-04-17 "Very positive atmosphere for asparagus at auction "
2019-04-17 "Chinese garlic exports enter their slow season"